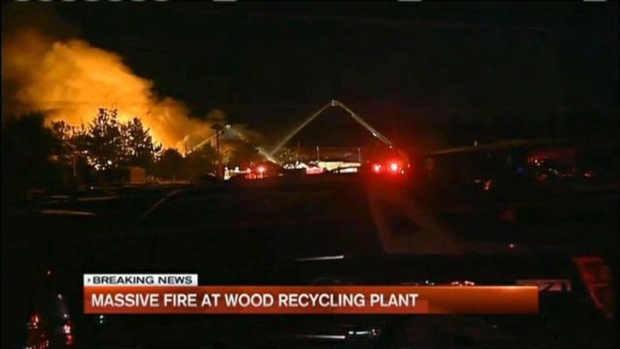 Crews Remain on Scene of 5-Alarm Fire at Recycling Plant in Salem, N.H.
5-Alarm Fire at Recycling Plant in Salem, N.H.
A 5-alarm fire broke out Wednesday night at a recycling plant in Salem, New Hampshire, and crews remain on scene Thursday morning. Police say officials were called around 8:45 p.m. to L.L.S. Wood Recycling on Lowell Road. 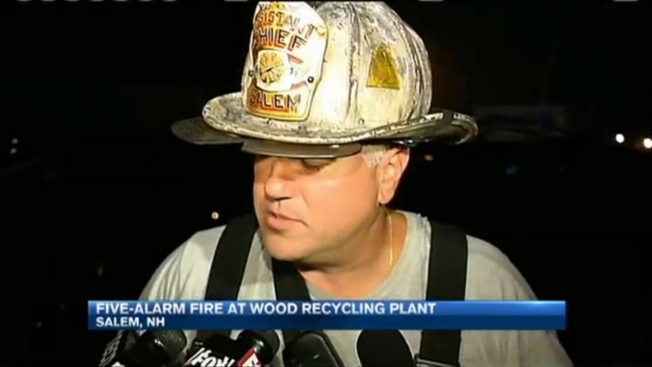 The fire started on a pile of debris before spreading to the structure. The flames could be seen from I-93 across Salem. According to officials, the building was unoccupied. Officials confirm the blaze at L.L.S. Wood Recycling on Lowell Road. Fire chief Paul Parisi said the large piles of debris span an area just under the size of a football field - making for a difficult and dangerous situation for firefighters. No injuries have been reported. Crews say they will remain on the scene throughout the morning to take care of hot spots.